﻿ Kumbh Mela No 'Mela' For Couples Looking To Get Married In Yogiji's Prayagraj? Kumbh Mela No ‘Mela’ For Couples Looking To Get Married In Yogiji’s Prayagraj? 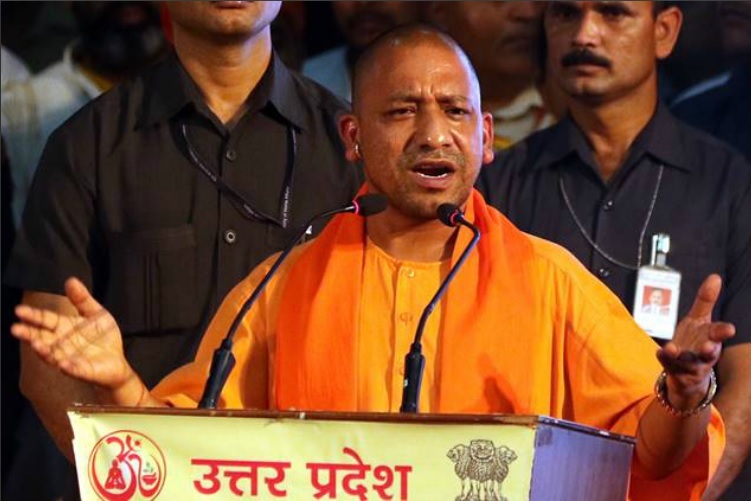 Kumbh Mela No 'Mela' For Couples Looking To Get Married In Yogiji's Prayagraj? Banquet halls and other wedding venues have been asked to not take any bookings between January 15 and March 4, 2018. 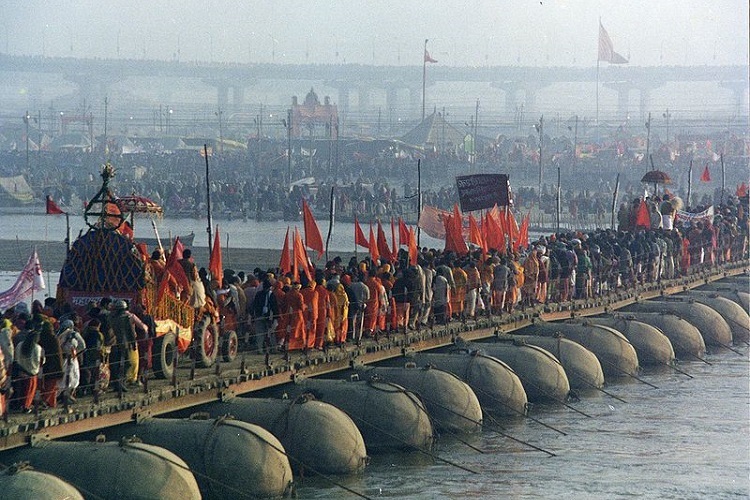 In a bid to ensure a ‘hassle-free’ Kumbh Mela in Prayagraj next year, the district administration has ruled that no weddings will take place in the city, a day before and after the main snan (holy dip) days. Banquet halls and other wedding venues have been asked to not take any bookings between January 15 and March 4, 2019. “In order to maintain peace, law and order and in view of traffic management, it is expected that one day ahead of the major snan days and one day after them, the aforesaid guest houses, marriage halls and banquet halls should not be booked for marriages or other ceremonial purposes,” an order by Additional District Magistrate (City) read. The snan days include Makar Sankranti (January 14-15), Paush Purnima (January 21), Mauni Amavasya (February 4), Basant Panchami (February 10), Maghi Purnima (February 19) and Maha Shivaratri (March 4). Makar Sankranti (January 14-15), Paush Purnima (January 21), Mauni Amavasya (February 4), Basant Panchami (February 10), Maghi Purnima (February 19) and Maha Shivaratri (March 4). The first-ever such diktat issued by the authorities has left both the owners of the establishments as well as the general public confused. According to a report by The Times of India, around 300 weddings were to be held on the aforesaid dates at around 100 venues. A total of 106 wedding pandals, banquet halls and establishments have been asked to not take bookings around the dates so as to avoid any discomfort to the millions of devotees who would be visiting the city. Those families which had booked marriage halls, hotels and pandals during the aforesaid days are now looking for other alternatives. Many have already cancelled or postponed their weddings. The establishment owners are also expecting heavy business losses since the aforesaid period is a wedding season due to its auspicious dates. Local MLA and Minister of Stamp and Civil Aviation Nand Kumar Nandi has assured help. “Parents of young people whose weddings had been fixed on these dates met me on Friday and requested that the order be withdrawn. We’ll hold a meeting with senior government members and officials,” he said, reports The Telegraph. The Kumbh Mela, a mass Hindu pilgrimage is said to be the largest public gathering and collective act of faith, anywhere in the world. It draws tens of millions of pilgrims over the course of 55 auspicious days to bathe at the sacred confluence of the Ganga, the Yamuna, and the mystical Sarasvati. It is held four times over a course of 12 years. The geographical location of Kumbh Mela spans over four locations in India which are Haridwar (Uttarakhand), Ujjain (Madhya Pradesh), Nashik, (Maharashtra) and Prayagraj in Uttar Pradesh. Meanwhile, devotees visiting Prayagraj for pilgrimage will be given a toll-free entry. The state government recently asked the National Highway Authority of India (NHAI) to direct toll plazas falling under the 50-km periphery of the mela site to give toll-free passage to Mela-bound vehicles for three months between December 15 and March 15, reports The New Indian Express.